The subject is geometric and abstract and the title suggests an industrial connection, which I really like as its like my personal history. However I oddly found the title on a list of cocktail drinks. I also feel that in the work there is reference to fabric design and medieval tapestry design. 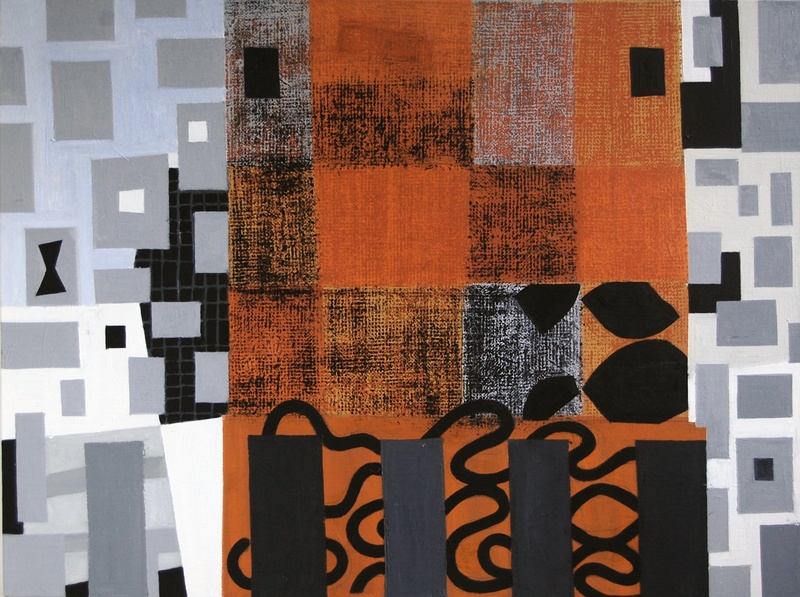 The composition is dominated by a strong vertical central panel painted in various reds, greys and black. There is a fabric texture worked through the divisions of red colour. The central panel is flanked on either side by a mosaic like patterning of smaller blocks in grey, black and white. The blocks are painted in contrasting tones which interact optically and support a dynamic rhythm over the whole piece.